This Calcite crystal is much clearer than the photos lead you to believe. This golden-yellow Calcite sits proudly in a nest of Galena crystals with the odd millimeter or so-sized Chalcopyrite thrown in for good measure. This specimen's termination is intact. 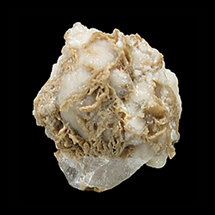 A excellent example of Viburnum Trend Calcite. 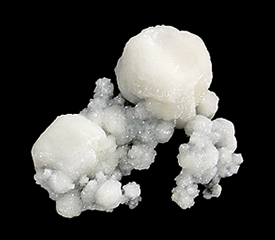 A sculptural pair of interconnected, scalenohedral Calcite crystals. 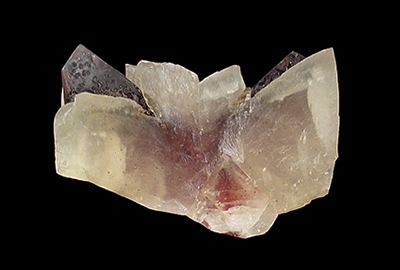 The Calcite grew in a sand matrix, capturing the sand as it formed making for an opaque specimen. These specimens were collected heavily in the 1960s-1970s and are seldom seen these days as much of this area is within an Indian reservation and collecting is prohibited. 6.5 x 6.3 x 3.9 cm. 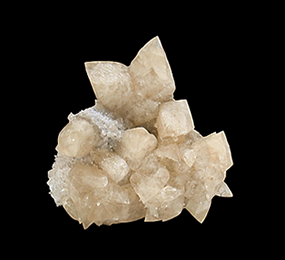 A cluster of lustrous, light-yellow, scalenohedral Calcite crystals, some of which are double-terminated on a matrix that is sprinkled with many millimeter-sized crystals of Celestite. The Calcites are translucent and all are undamaged. 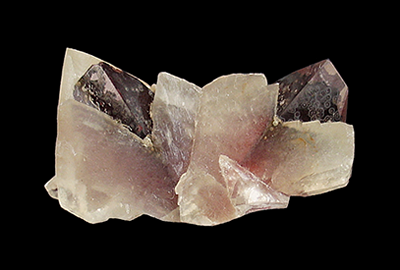 Uncommon material from a mine that is better known for its Fluorite And Celestite specimens. 3 x 2.8 x 2.9 cm. The Berry Materials Corp. Quarry has a reputation for producing outstanding Calcite crystals. 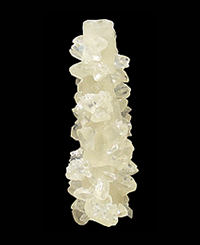 This translucent and lustrous Calcite crystal sits on a matrix of Limestone. The Calcite has the color a good Calvados or Armagnac. 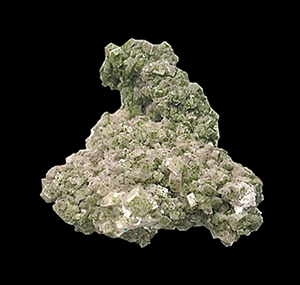 Calcites from this location are eagerly sought after by collectors which is no surprise since the Calcite crystals from this Quarry are considered to be some of the best that America has to offer. 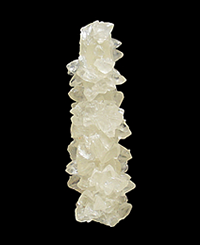 A very three-dimensional specimen of branching Calcite crystals, locally known as Cactus Calcite. 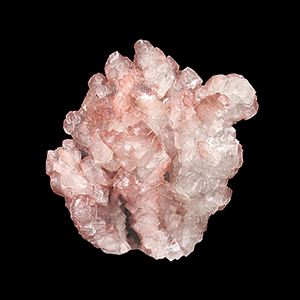 The larger central crystals have smaller Calcite sprays branching off at all angles. These specimens were widely available years ago, now are usually only found in old mineral collections. 7.5 x 4.6 x 4.7 cm. This is a type of Calcite that came out a long, long time ago from Santa Eulalia and has been unavailable - until a recent find in 2007. 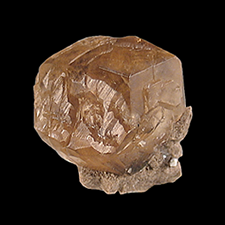 These Calcites are instantly recognizable by their strange form: an earlier generation of dark, opaque, hematite-included scalenohedral crystals seeming to emerge from within a later generation of translucent crystals of a lighter color. This specimen is from the original find. 7 x 2.5 x 2.2 cm. Here we present a southern United States classic. Florida produces attractive Calcites every now and then. 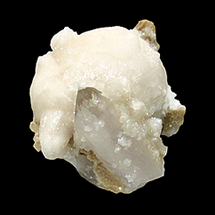 This specimen appears to be a stalactite with an overgrowth of scalenohedral Calcite crystals. A not to often seen example of Calcite from a state that isn't exactly well-known for its mineral specimens. 5 x 4 x 2.3 cm. Here is a neat specimen from the famous Herja Mine. 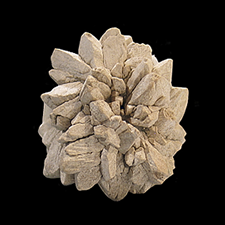 This specimen features several generations of lustrous Calcite on a matrix of ball-like bundles of Boulangerite. The Herja Mine has been producing some of the world's finest well-crystallized specimens for over a century. I think that this specimen is a good example of why this location has such a reputation. 4.4 x 4 x 3.4 cm. 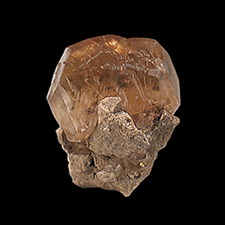 A very lustrous ball of Calcite which is partially encapsulating a 3 centimeter Quartz crystal. Dating back to the 12th century, Freiberg has been mined for its many treasures. The last mine closed in 1969. 3.8 x 4 x 3.1 cm. An interesting pseudomorph of a star burst-like cluster of the rare mineral Ikaite having been replaced by Calcite. This very well formed pseudomorph is better than most of the of these specimens that I've encountered in the past few years. 9.1 x 8.8 x 4.2 cm. Here we have a cluster of Calcite crystals that have been included with microscopic crystals of Hematite. These inclusions of Hematite, along with its lustre, give this specimen a good contrast of colors. The backside of this specimen is completely infused with brick-red Hematite. Tsumeb Calcites come in a wide range of habits and colors, making them one of the most diverse species from this historic and prolific locality. 7 x 7 x 2.8 cm. A Tsumeb classic, this plate of well-formed Calcite crystals is sprinkled with the Lead and Copper arsenate mineral Duftite. 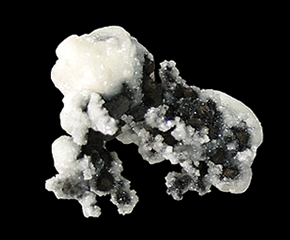 This specimen is a classic Tsumeb mineral association. 14 x 10 x 4.8 cm. Here we present a specimen from a location that is world famous for the realgar specimens that it has produced. 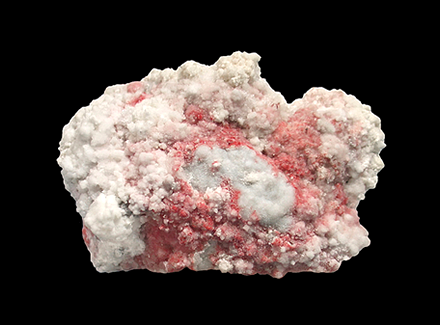 This mound of Calcite crystals are included by a myriad of almost microscopic sized crystals of the mineral Realgar. An eye-pleasing specimen from a famous Nevada location. 7 x 6.5 x 3 cm. A very interesting specimen from a well-known Romanian mineral location. 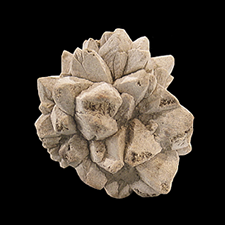 This specimen features a 2 x 2 cm. 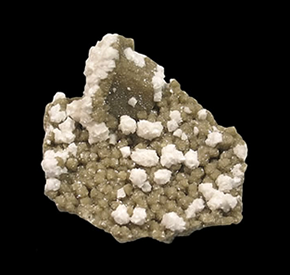 crystal of Siderite that has replaced the mineral Calcite, with many smaller sphere-shaped stacks of Siderite, upon which sit numerous clusters of Calcite exhibiting the same peculiar habit.